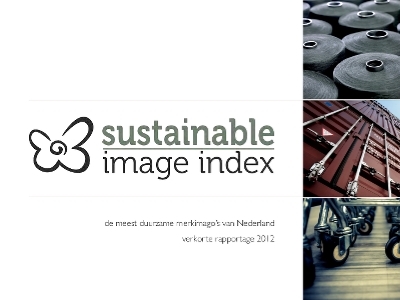 The Sustainable Image Index, annual survey among 2000 Dutch citizens into the most sustainable brands in the Netherlands. People familiar with a brand have been asked to give an opinion on the four sustainability pillars: people, planet, persistence and performance. The survey is an initiative of Synergy, MindWorld, SSI and MT.